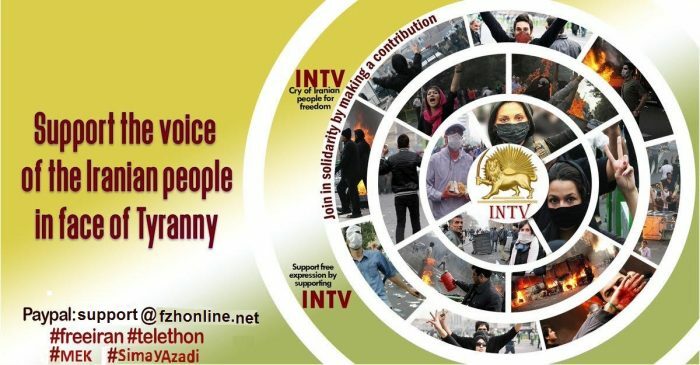 A recent analysis published at the official website of the Foreign Affairs Committee of the National Council of Resistance of Iran (NCRI) revealed that regime officials fear that the people will revolt and overthrow the regime. 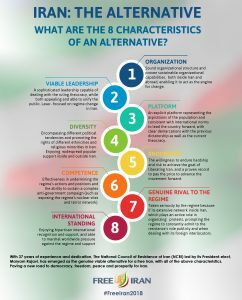 Iran’s economy has taken a nose-dive, while the Iranian Resistance movement, led by the MEK, has gained momentum. Regime officials are terrified that these two factors will lead to the end of the mullahs’ regime. 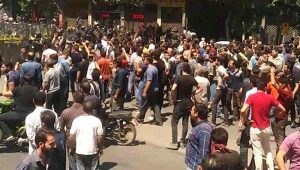 Regime economic expert Hossein Raghfar spoke of his concern that the economic crisis in Iran will lead to food shortages, further uprisings, and an eventual revolt by the people. Raghfar is right to worry about a revolt. The economic crisis is due to decades of corruption and mismanagement by the regime. U.S. sanctions have aggravated a problem that was ongoing when the current uprising began last December. The people are angry, and they are ready to overthrow the mullahs. Raghfar expressed concern that the pressure from the economic crisis might manifest as mental health issues, such as depression. This has been true for many years under the repressive Iranian regime. He also worried that petty crime would increase as a result of economic insecurity. “A worker that doesn’t get paid has no solution but to revolt,” he commented. 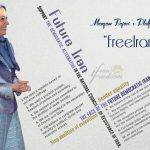 Raghfar also fretted about the so-called “brain drain,” which is a process in which the country’s most talented citizens leave Iran to find better opportunities elsewhere, leaving the already-struggling regime with few people with the ability to address its problems. Finally, Raghfar predicted that Iran’s inflation rate could rise to 80-90% by the end of the year, which would likely signal the end of the regime. 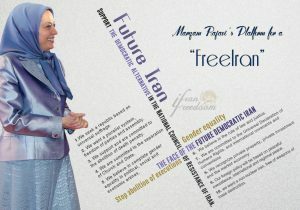 adopt a firm policy toward the theocratic regime currently ruling Iran. 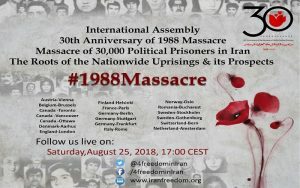 On August 25, 2018, the Iranian Resistance movement will commemorate the 30th anniversary of the mass execution of 30,000 political prisoners, most of them MEK members, by the Iranian regime in the summer of 1988. 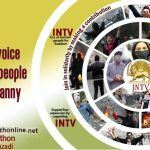 Iranian communities in more than twenty capitals and major cities across Europe and North America will meet together in a joint interactive conference to commemorate and seek justice for the victims of the 1988 Massacre. The conference comes at a time of upheaval in Iran. 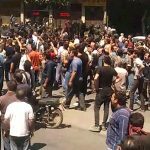 The people of Iran are entering their ninth month of protests against the clerical regime. 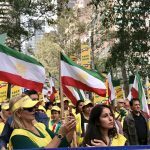 This continuous uprising is unprecedented in the history of the mullahs’ regime and has persisted in the face of brutal efforts by the regime to suppress it. Calls for freedom and regime change are echoing throughout Iran. 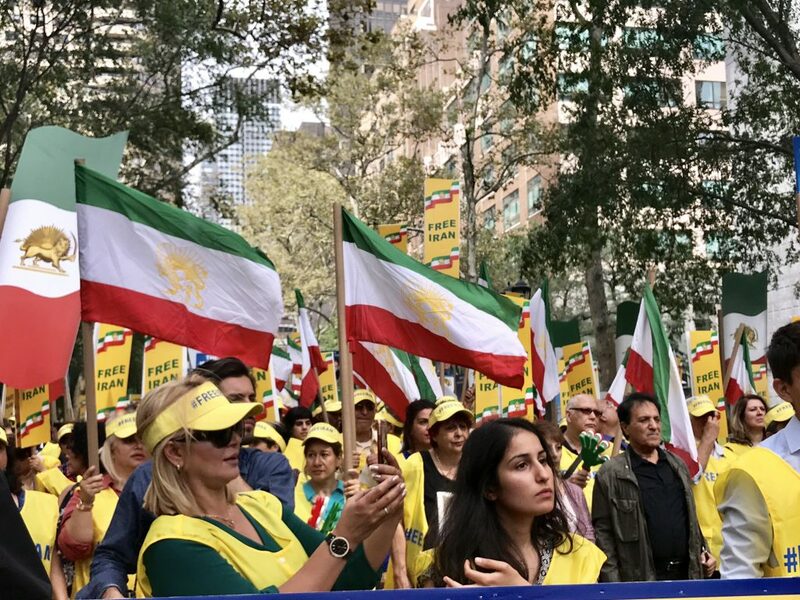 The current widespread uprisings are a continuation of the path to freedom in Iran that was laid by those who sacrificed their lives in 1988 by standing up to the regime and its henchmen. The Iran protests are deeply rooted in sacrifices such as these, and these roots have taken hold with a nationwide call for regime change. The origins of the Iran protests and prospects for the future of the uprising will be among the topics of the international conference. The conference is part of an international campaign to seek justice for the victims of the 1988 Massacre, which was launched two years ago by Maryam Rajavi, President-elect of the National Council of Resistance of Iran (NCRI). The campaign demands an independent investigation by the United Nations into the massacre, which has been described human rights NGOs, experts, and defenders as one of the worst crimes against humanity since World War II. The perpetrators of this crime have never been brought to justice and are now among the highest-ranked officials in the Iranian regime. These criminals are directly involved in suppressing the ongoing uprising. 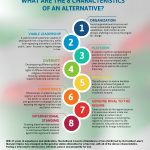 The conference will bring together thousands of Iranians in Europe and North America simultaneously and will include people from across the Iranian diaspora, representatives of Iranian Associations, as well as prominent international social and political personalities. Survivors of the massacre and relatives of victims will also share their experiences and observations with the participants. 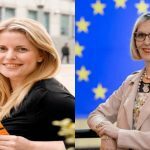 Attendees will gather in Paris, London, Berlin, Frankfurt, Stockholm, Amsterdam, Rome, Oslo, Brussels, Bern, Ottawa, Toronto, Vancouver, Bucharest, Helsinki, Gothenburg, Aarhus, and Stuttgart. 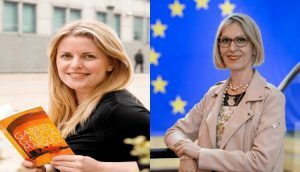 United States Congressman Patrick Kennedy and a number of European lawmakers will be among the participants at the Paris conference. Please help us spread the word about this event! ask your local media and news outlets to cover the conference and report on the goals of the Iranian community. In 1988, Khomeini issued a fatwa sentencing 30,000 political prisoners to execution. These prisoners were mostly MEK members. In order to expedite the executions, Khomeini set up three-member death committees throughout the country so that prisoners could be sentenced to death within a few minutes. The victims were buried in mass graves. To date, no independent international investigation has been conducted into this massacre, and the perpetrators of this crime have never been brought to justice. An audio tape was revealed in 2016 of a conversation that took place during the summer of 1988. 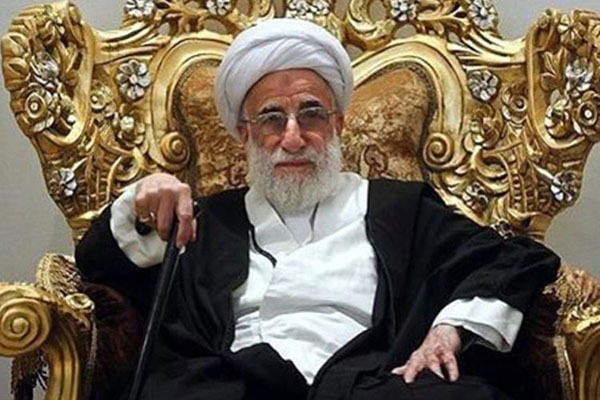 In the tape, Hossein Ali Montazeri, Khomeini’s successor at the time, can be heard telling the Death Commission in Tehran that what is being carried out is the most heinous crime of the Islamic Republic in Iran’s history. 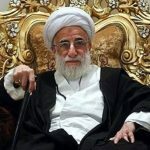 Khomeini dismissed Montazeri in April of 1989 because of his opposition to the massacre, writing, “After me, you would give the country to the liberals and through them to the PMOI/MEK.” Khomeini died in June of that year, leaving Ali Khamenei to replace him as Iran’s Supreme Leader. 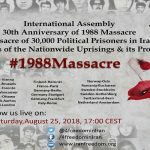 Over the past few months, a number of human rights groups, including Amnesty International, have called for investigations on the 1988 Massacre and presented their own reports on the mass executions. The recent attention by human rights organizations has largely been due to large-scale efforts by the mullahs to destroy mass graves in an effort to conceal evidence of their crimes.